In a move that was seen as a direct hit to big game trophy hunters, the U.S. Fish & Wildlife Service (USFWS) maintained the suspension of elephant trophy imports from Zimbabwe on Wednesday. The news comes not a moment too soon -- African elephants are being slaughtered at a rate of between 35,000 and 50,000 per year across the continent, and trophy hunting isn't helping the problem. It was recently reported by Born Free USA that Zimbabwe is a hotspot for the illegal elephant ivory trade and that there are disturbing ties between the wildlife trade and political corruption in the country. The suspension covers any elephant that was killed on or after April 4, 2014. 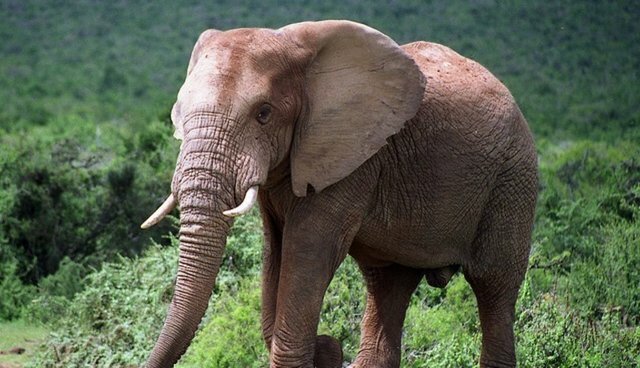 In explanation for the suspension, USFWS reported that it was "unable to find that the killing of an elephant whose trophy is intended for import into the United States would enhance the survival of the species in the wild." While conservationists applaud the move, they also point out that there are other trophy animals that are legal to import -- most notably, lions from Tanzania and rhinoceroses from Namibia. The USFWS was urged to follow suit with these imports as well. "It is quite clear that the United States government is regaining its status as a global conservation leader with the work of the Obama administration this year on wildlife trafficking," said Adam M. Roberts, CEO of Born Free USA. "Today's decision shows that the government is willing to take further steps to ensure that Africa's elephants are safe for future generations." "While elephants are being slaughtered for their ivory across Africa, it is ridiculous to even be talking about shooting them for sport. Instead, let's put our energy towards stopping the killing."